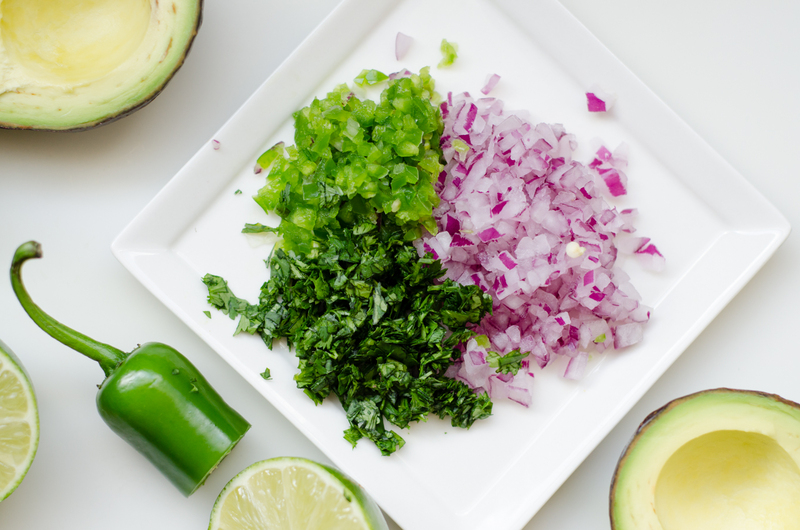 So, if you haven’t heard already, Chipotle released their Guac recipe last month. How awesome is that?!? I’ve probably made it about five times now. Even when half of my kitchen was boxed up, ready to move, I figured out how to make due for homemade guac. I’ve always been a huge fan of Chipotle – I could probably perfectly happing living on only black beans, rice and guac. By the way, first post in the new apartment! Still getting used to taking pictures in the new place, and the glass flat-top stove (grrr), but we’re so stoked to be here. Aida’s pretty damn happy about it too. She’s been extra spoiled with long walks, car rides and trips to the park, I don’t think she knows what to do with herself. It seems like store-bought avocados are rarely ready to eat when you buy them, so you’ll most likely have to plan a few days ahead. I recommend buying one more avocado then you’ll need to be safe. 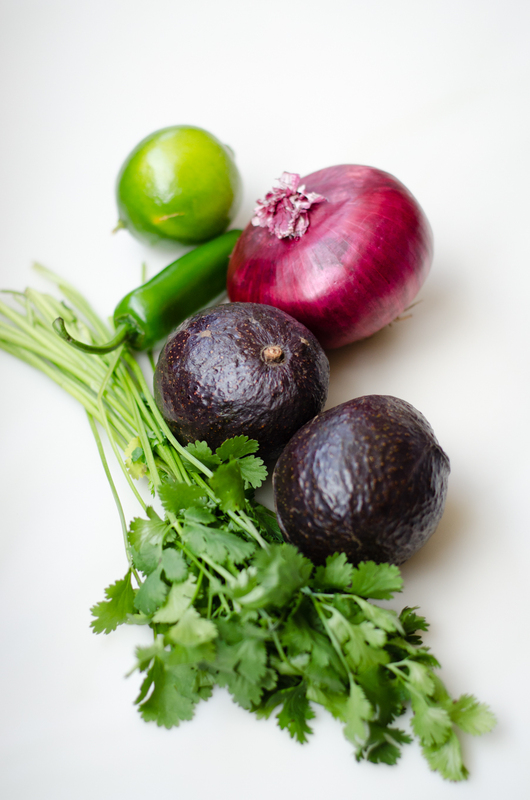 To ripen hard, green avocados, leave them on the counter until the skin changes from green to dark brownish-black, but still firm. You can also help to speed up the process by placing them in a paper bag on the counter – NEVER – refrigerate an unripe, green avocado. Cut the avocado in half and the remove the pit (carefully!). Scoop the avocados and place in a medium bowl. Toss and coat with lime juice. Add the salt and using a fork or potato masher, mash until a smooth consistency is achieved (I still like a few chunks). 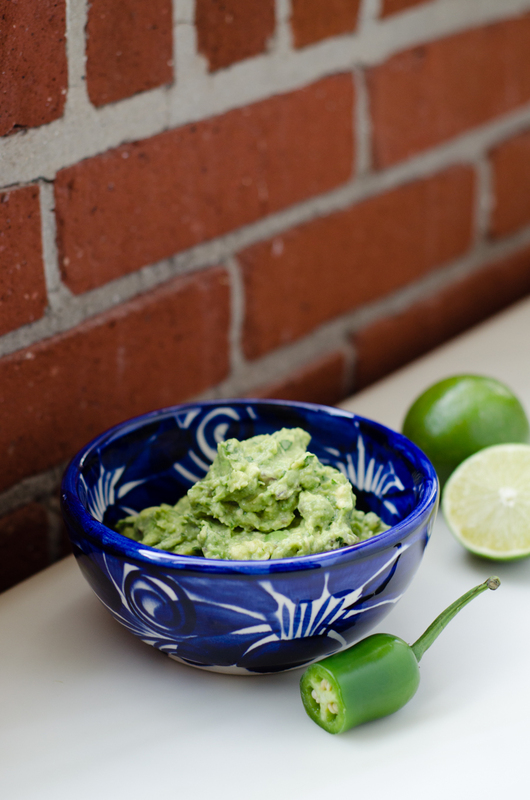 Place plastic wrap directly over the surface of guac until ready to eat to prevent oxidation. I like to let the guac sit in the fridge for 30 minutes to let the flavors combine. Cover any leftovers with plastic wrap. Your recipes look fantastic! 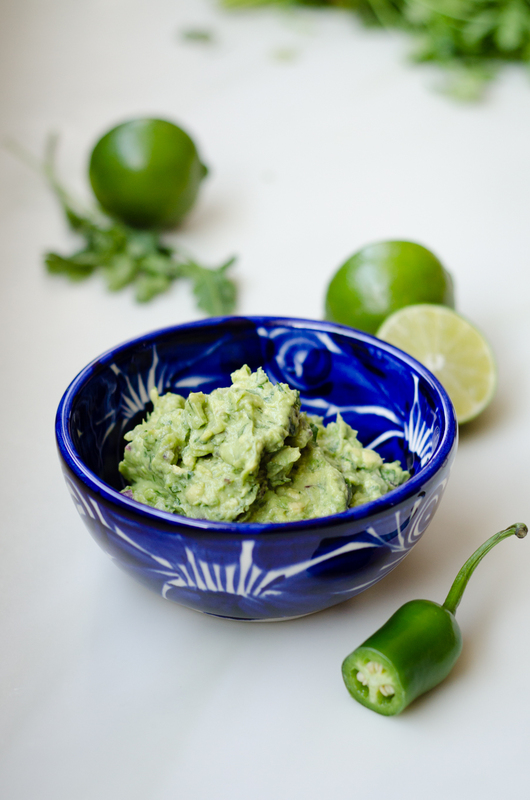 And yum… guacamole! Question for you, what kind of dog is Aida? I just rescued a dog that looks very similar and I have no idea what he is. Thanks! Thanks!! 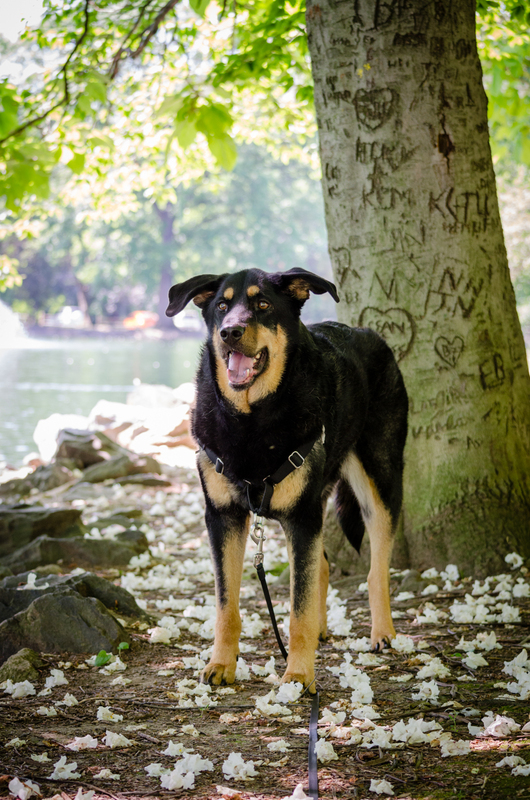 Aida is a lab/shepherd/chow mix. We did a doggie DNA test a few years ago because the shelter where we got her from wasn’t sure.